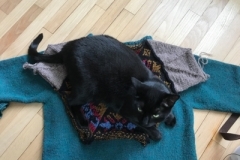 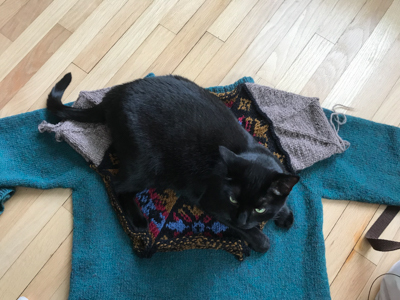 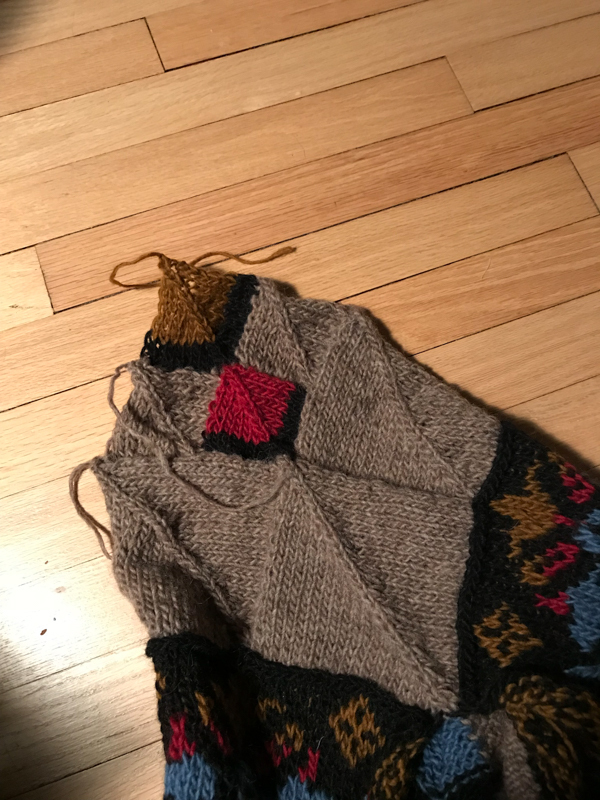 This sweater was a long time in the making — decades, in fact! 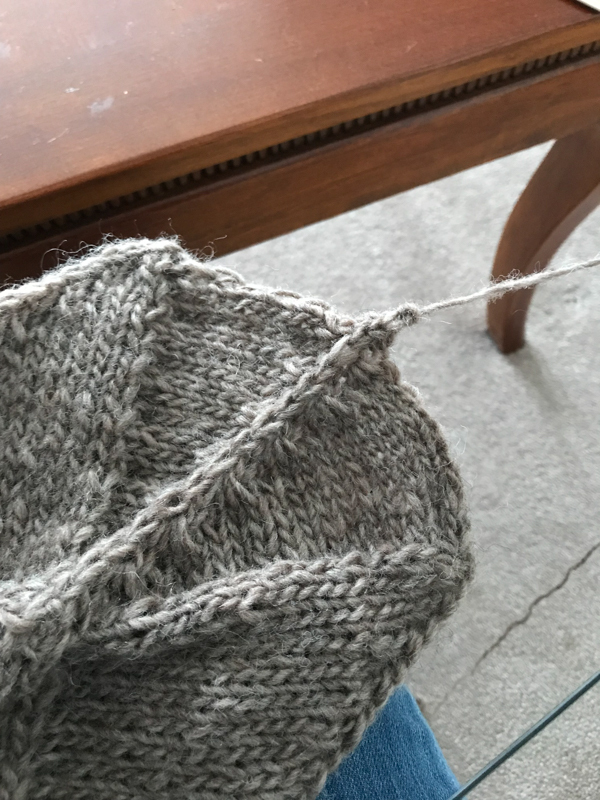 First, the yarn. 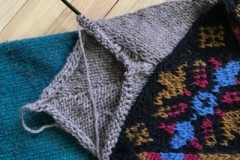 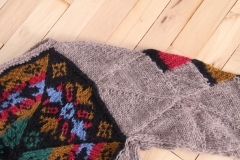 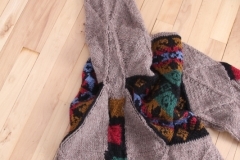 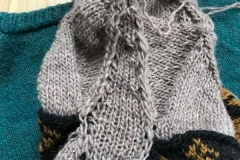 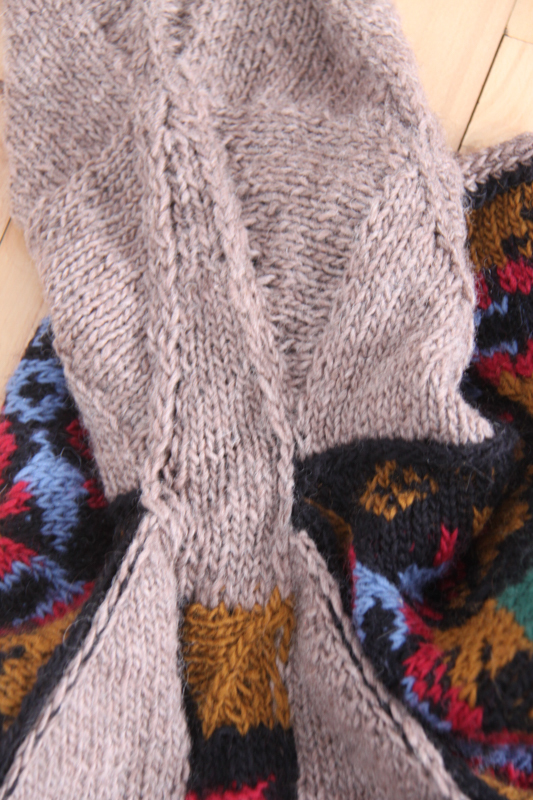 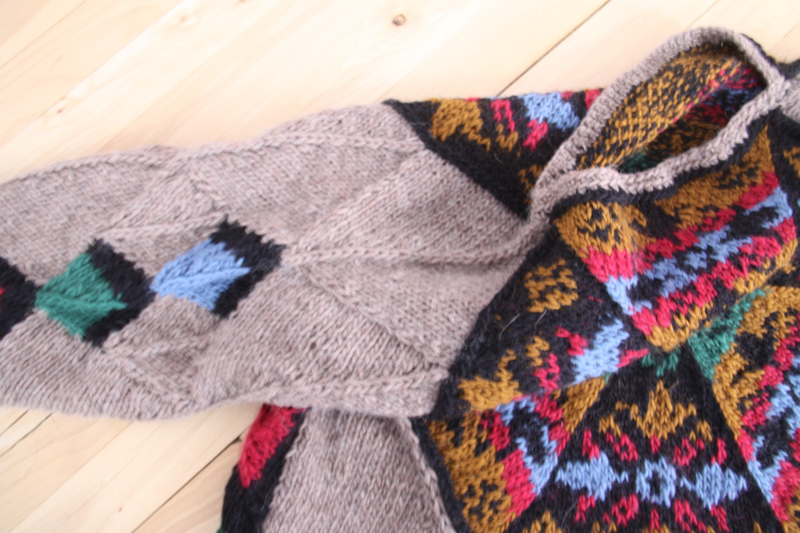 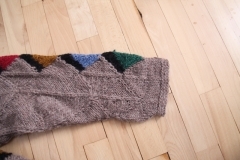 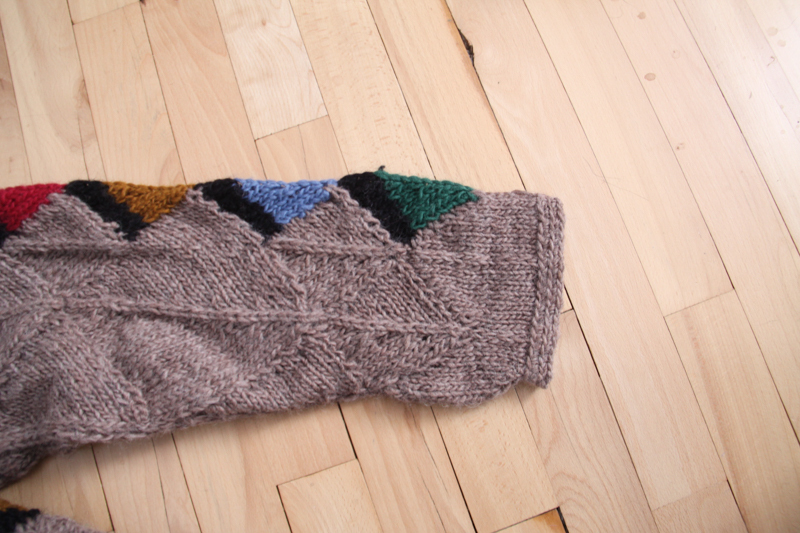 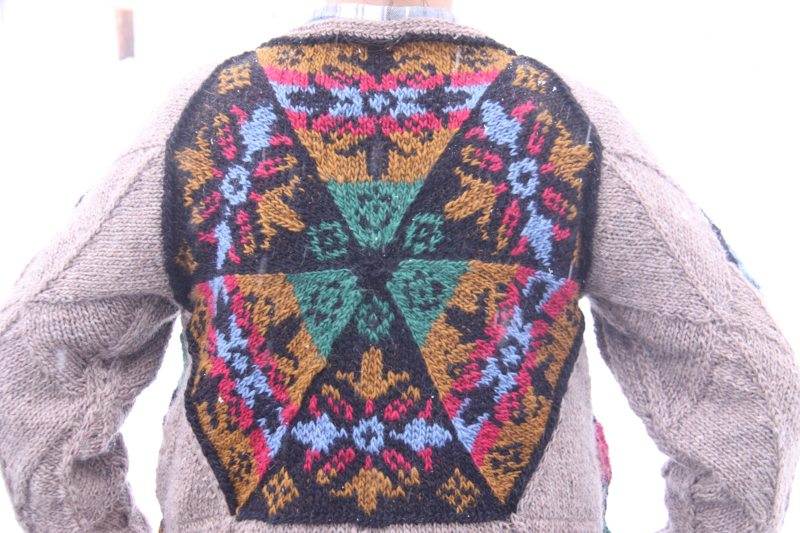 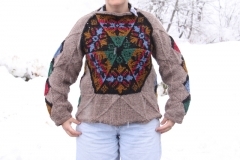 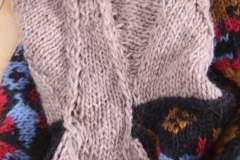 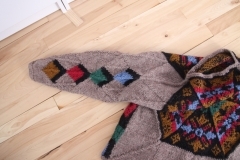 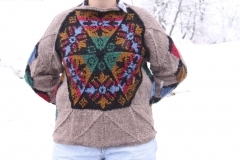 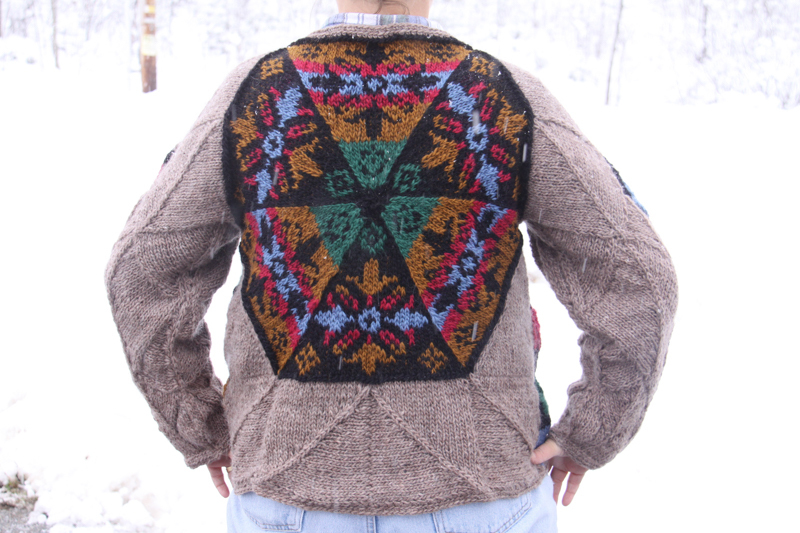 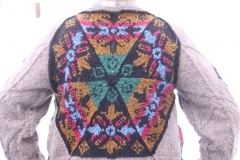 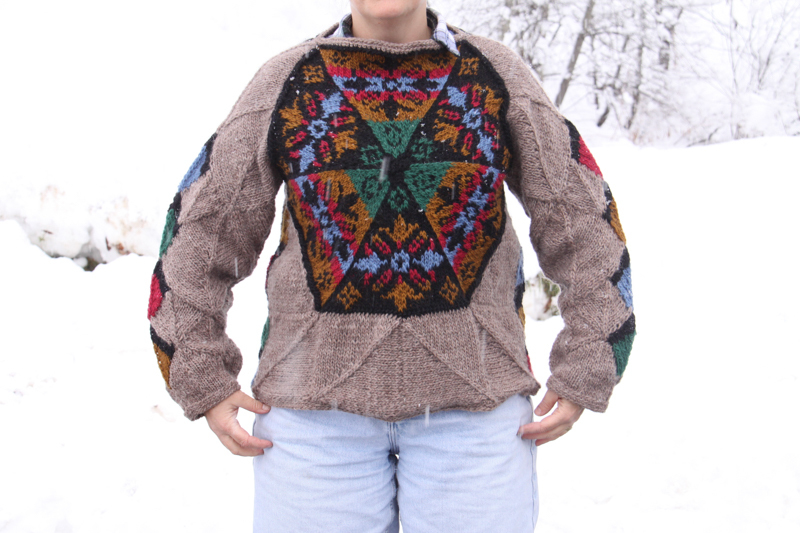 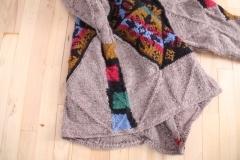 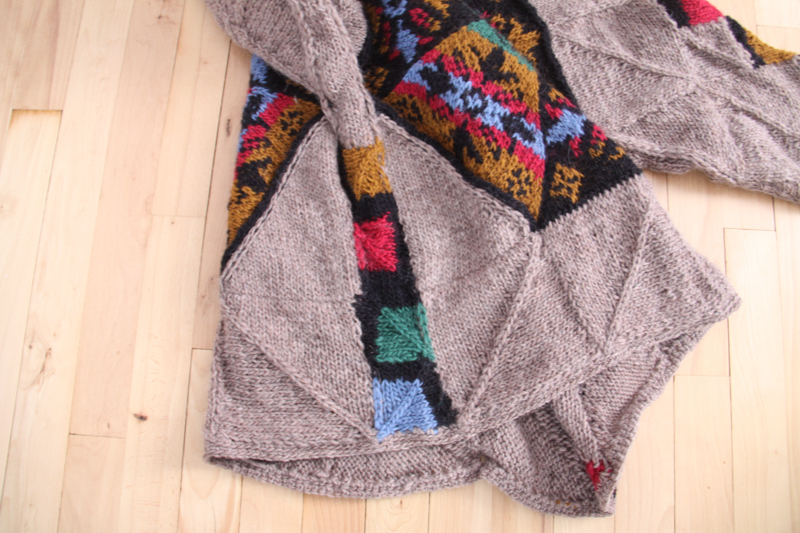 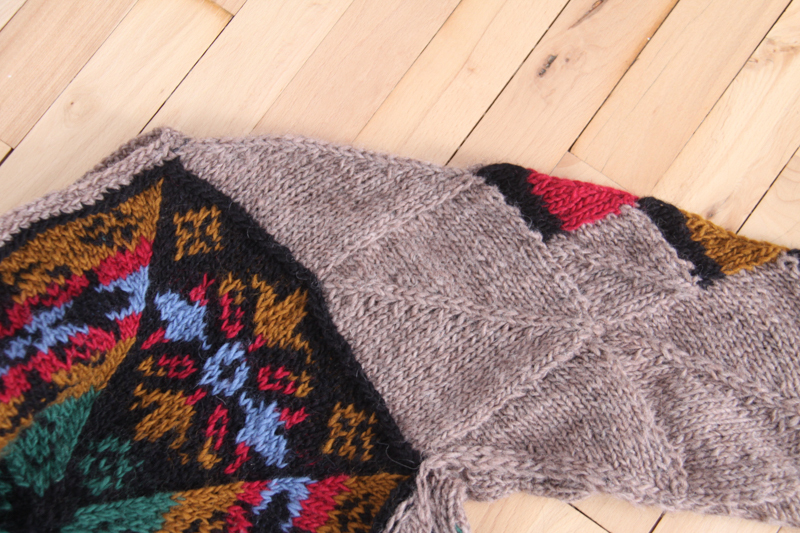 In the late 1990’s, I was enthralled by fairisle and colourwork knitting. However, at the same time, it was “The Great Yarn Drought”. 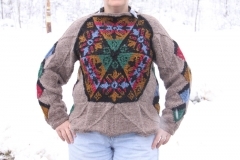 At least in Canada, it was just about impossible to find knitting yarns. Whereas it had been sold in department stores as part of their sewing departments (yeah, I’m old), by the mid- to late-1990’s those departments were gone and so were the yarns. 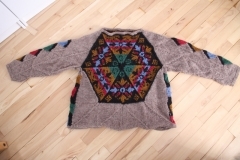 Online shopping wasn’t really a thing yet. 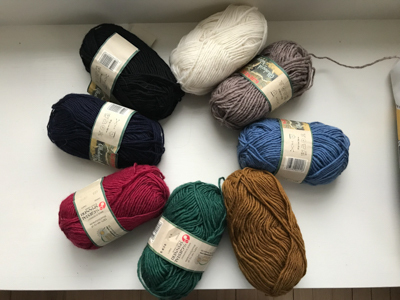 However, I was traveling to Stockholm pretty often, and on several trips I visited a little yarn shop downtown and picked up a few balls of different colours of this yarn. 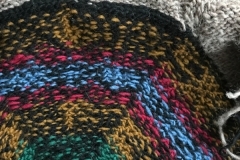 And then I saved it in my stash for a special colourwork project. 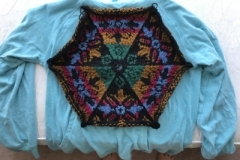 Then, the design idea: I had been thinking about knitting stained glass for quite a long time. 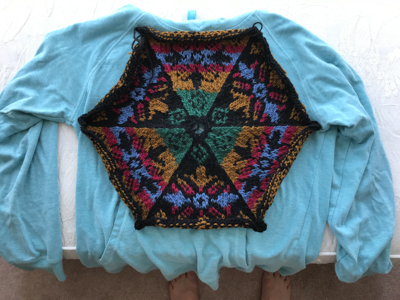 I had (and still have!) 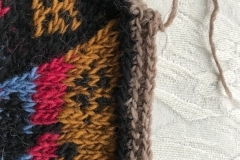 many ideas about how to create that effect, so this is hopefully just the first attempt at realizing a stained glass effect. 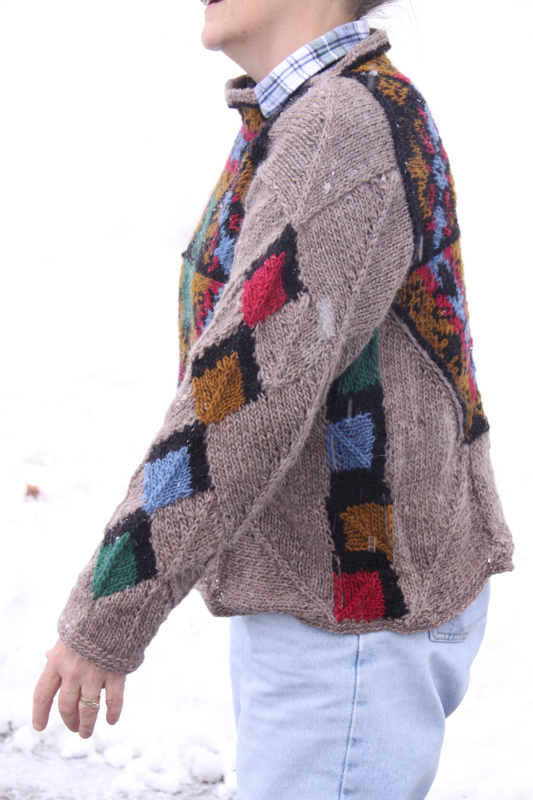 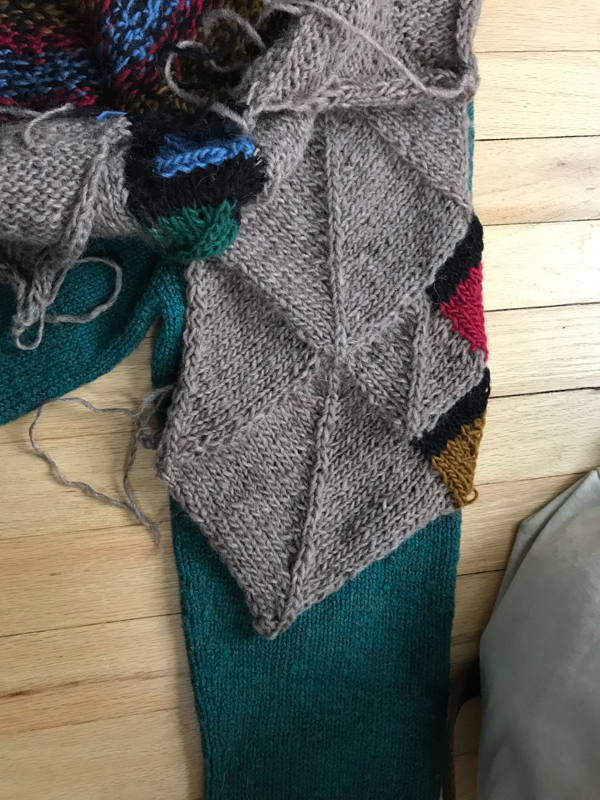 A number of factors came together to make this the year to finally realize the stained glass design element, and it was a big enough deal to use the carefully-stashed Norwegian yarn! 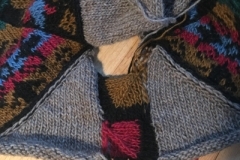 I started with the hexagon, done in stranded colourwork. 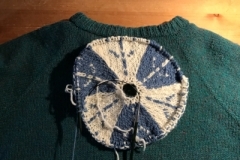 It’s the “rose window” (see https://en.wikipedia.org/wiki/Rose_window). 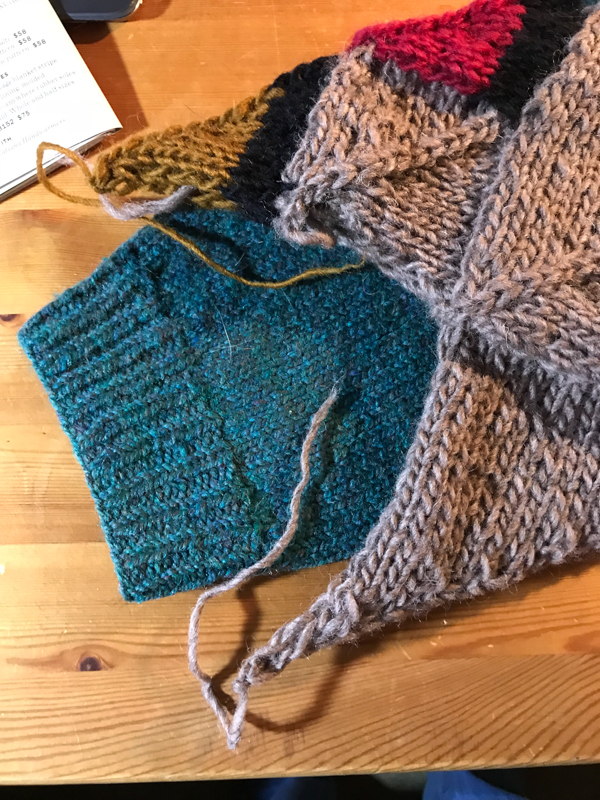 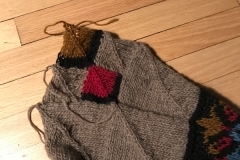 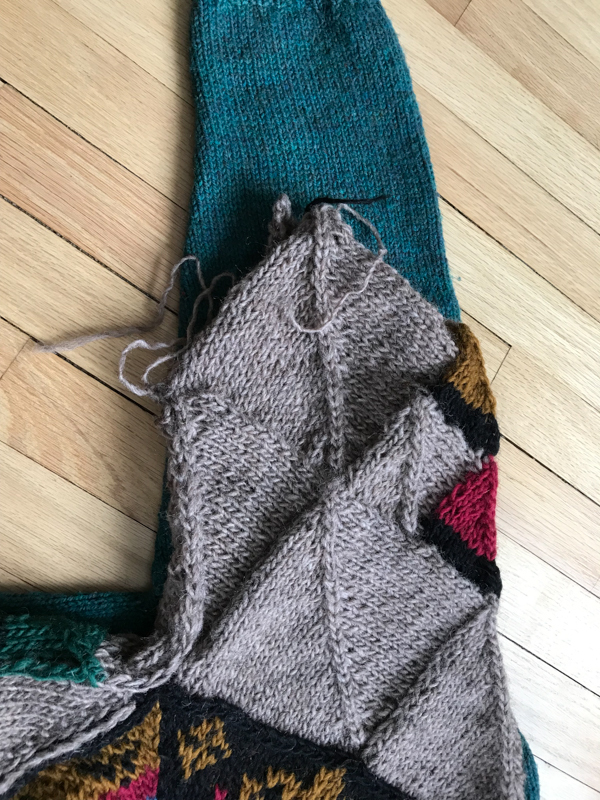 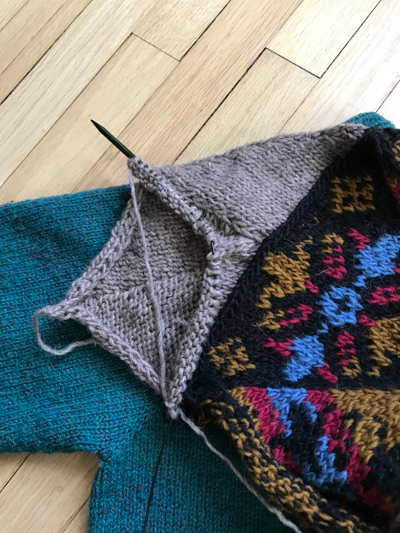 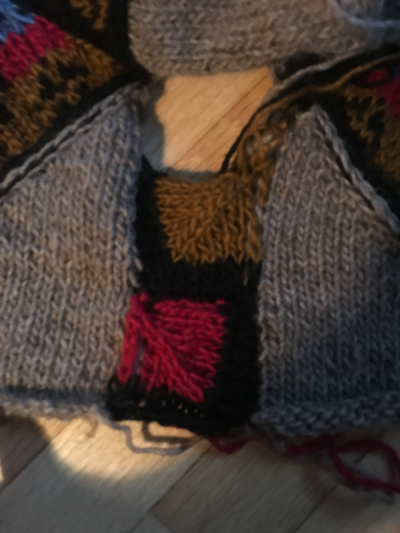 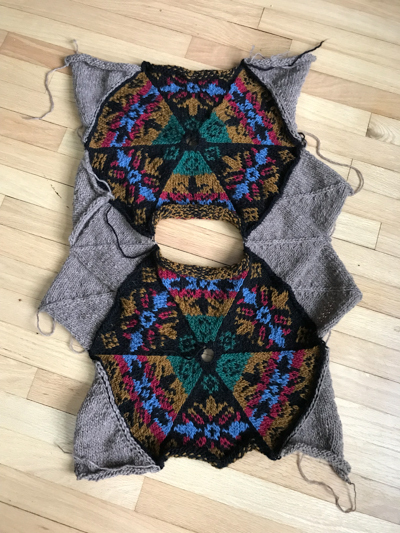 I noted that the downslopes on the hexagon were pretty much like raglan sleeve shaping, so I knit two (front and back) and worked on attaching sleeves, and built the sweater from there. 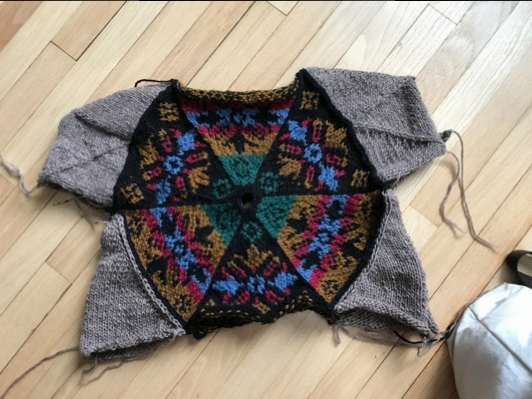 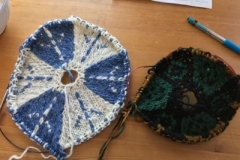 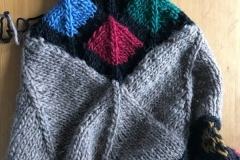 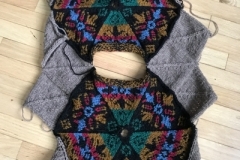 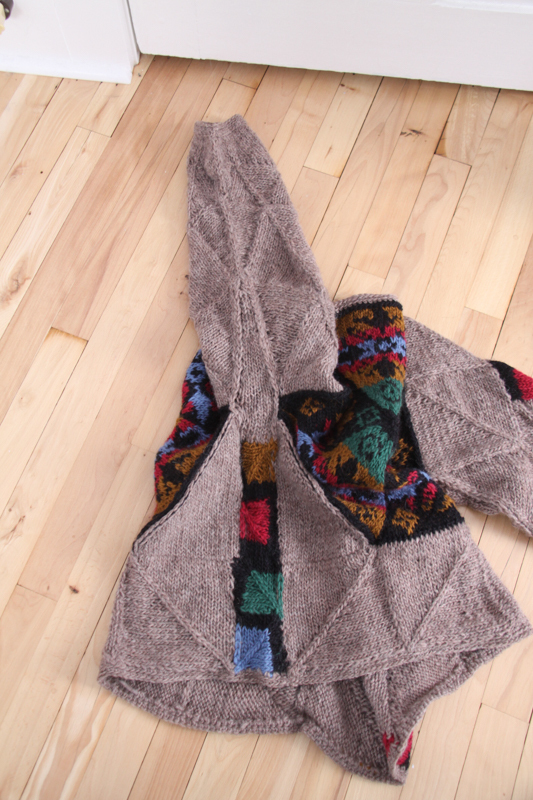 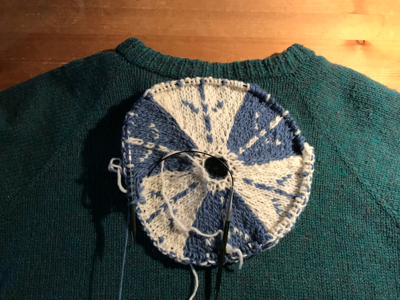 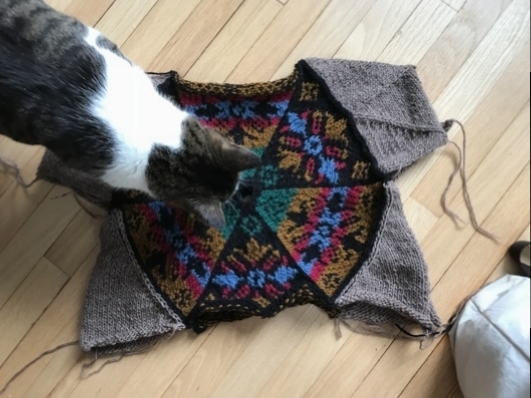 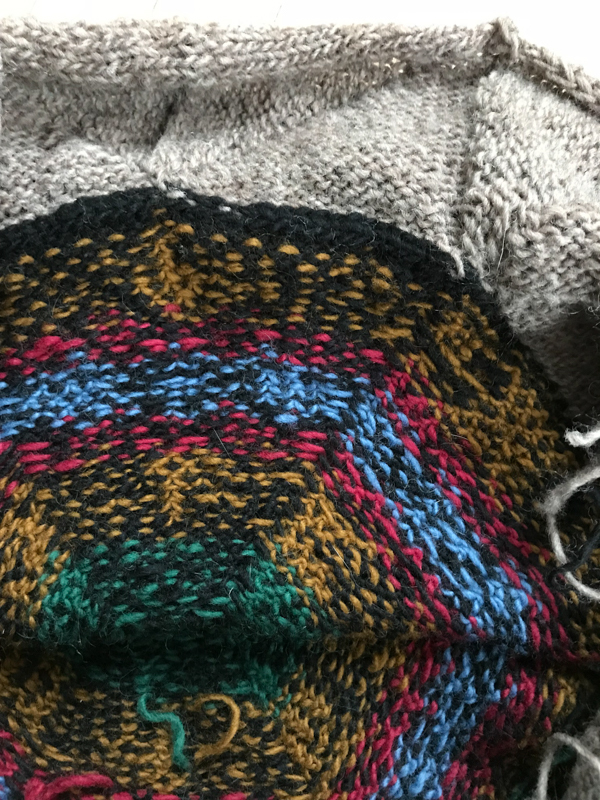 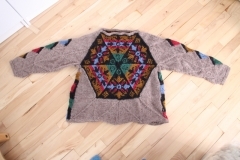 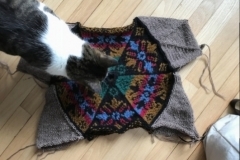 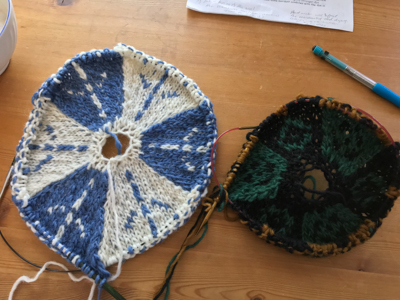 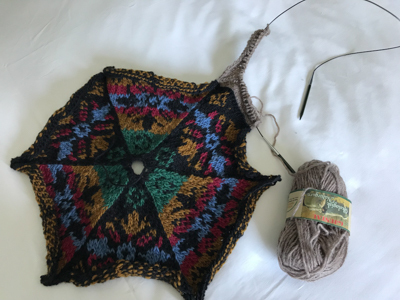 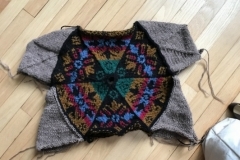 In the pictures, you’ll see that my first attempt at a rose window hexagon was scrapped — it was working out to be far too large for any sweater I’d be able to wear, so I put together a new pattern and used different colours, to achieve the final hexagon. 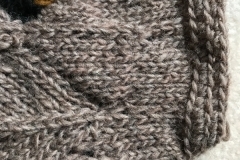 For all the body and sleeves around the hexagon, I used the “oatmeal” or “stone” coloured yarn. 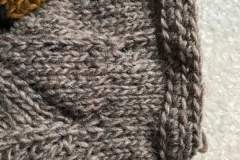 To add a “stone block wall” effect, I chose to do mitred squares wherever I could. 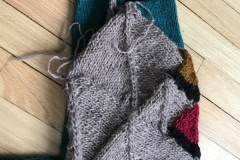 So, when it came time to add some colour accents, I mitred up some glass squares (with a few rows of black yarn at the edge for the “lead” edging on the glass. 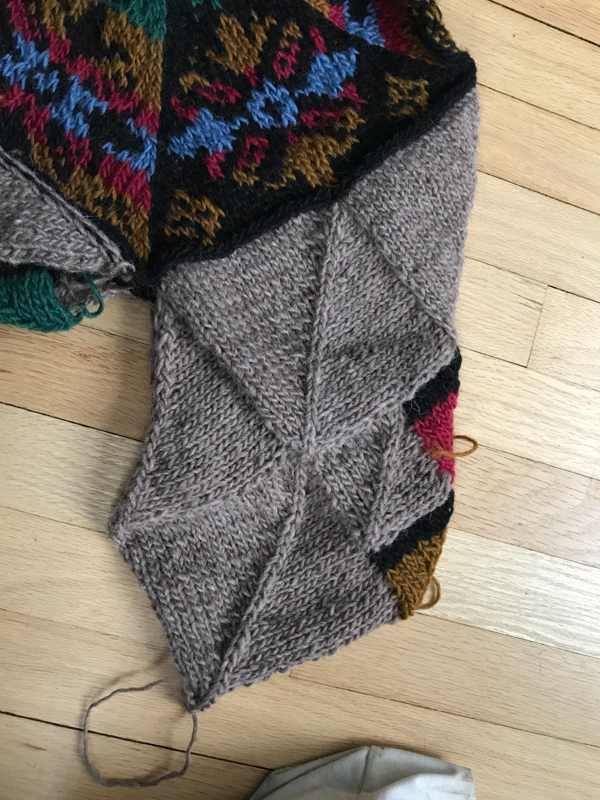 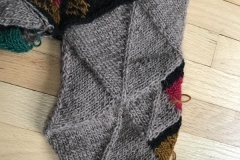 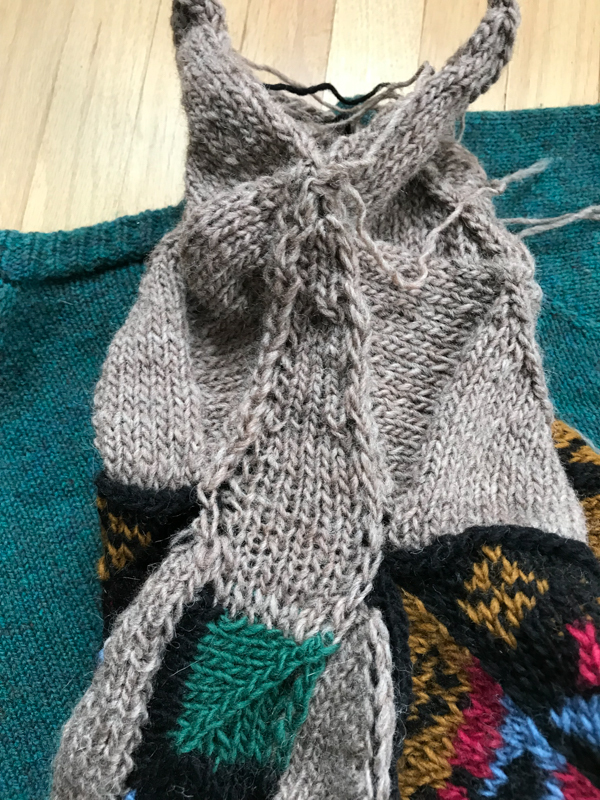 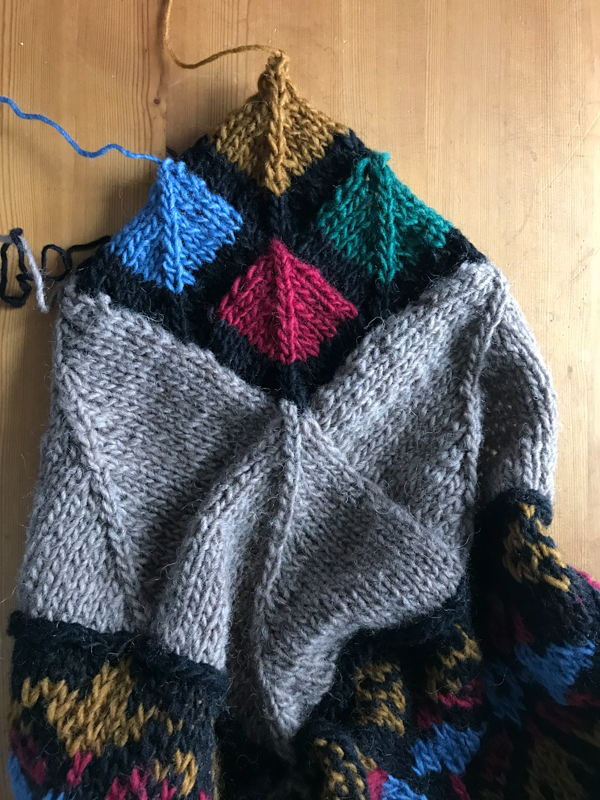 It was a very fun knit: I like doing mitred squares, and the iterations of design were fun, if sometimes frustrating to have to backtrack. 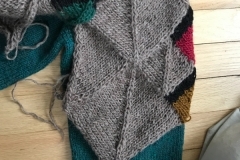 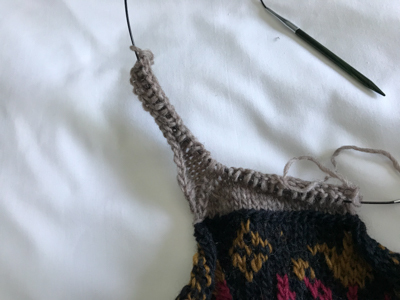 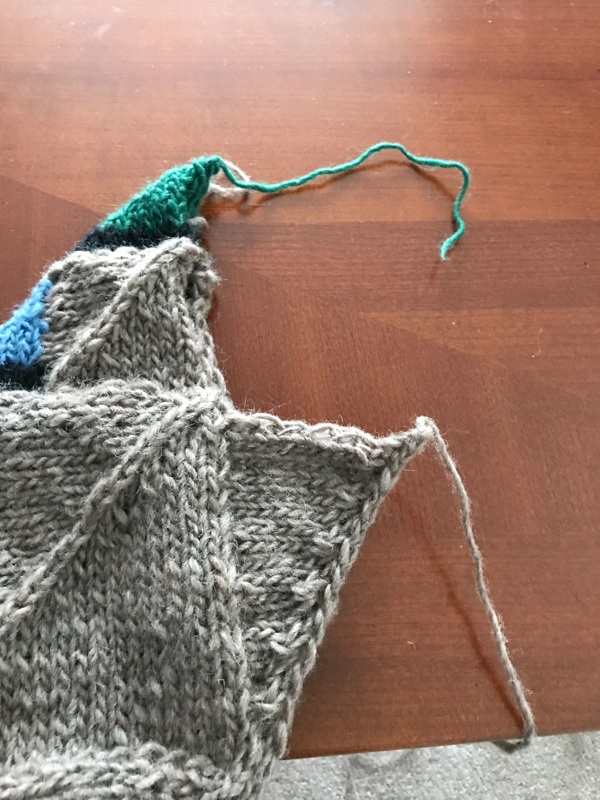 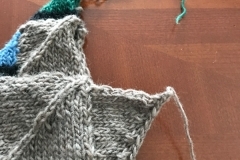 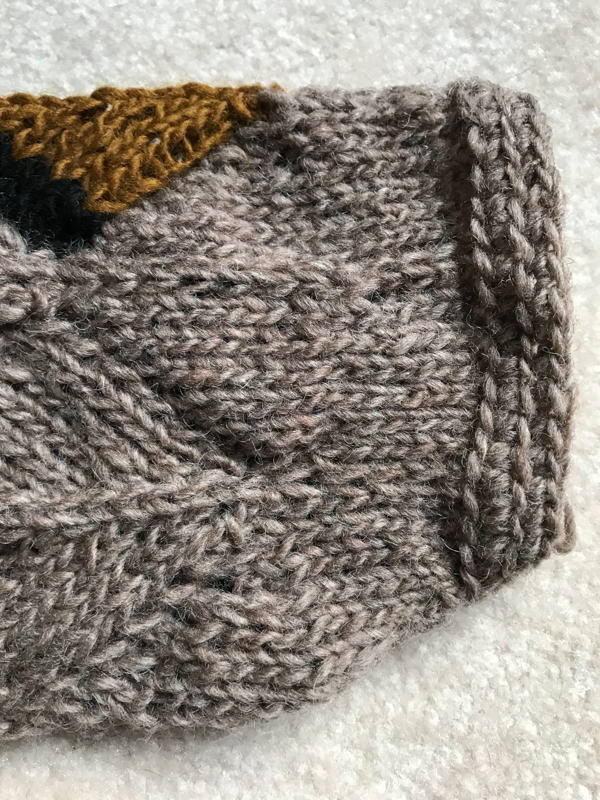 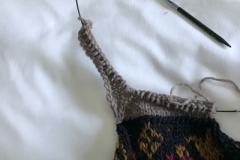 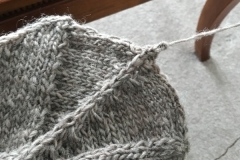 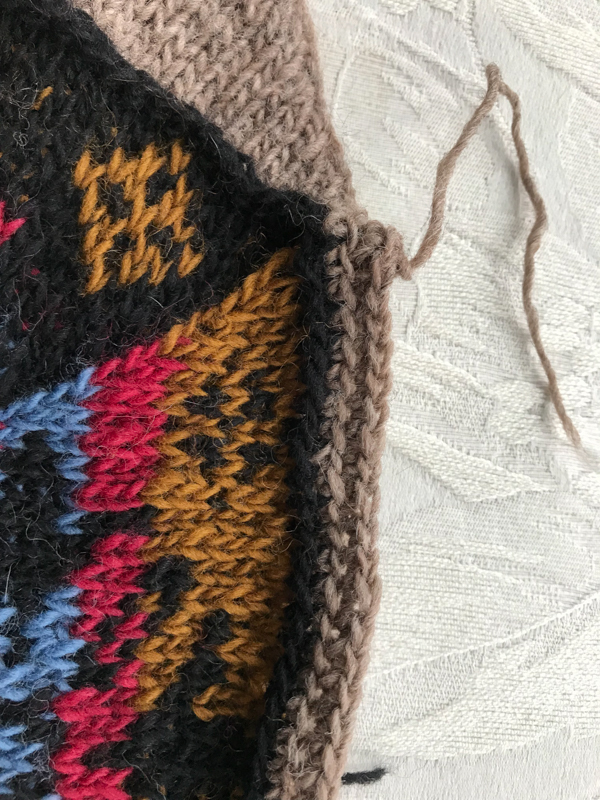 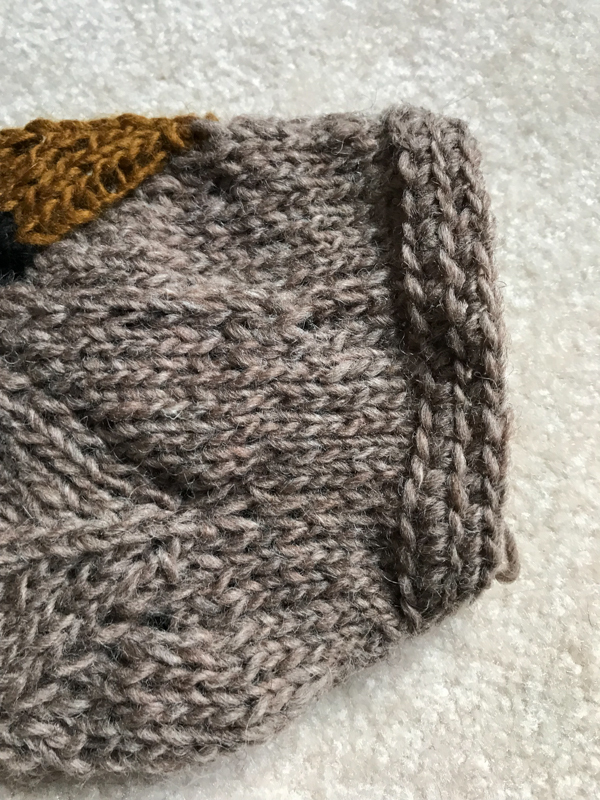 It took some trial and error to figure out how I could get the sleeve decreases to work with mitred squares, and then eventually picking up stitches to knit the whole cuff in the round (slipping a line of stitches to mimic the lines in the centre of the mitred squares). 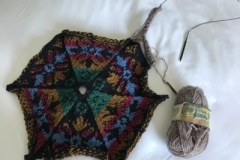 I have lots more ideas for stained glass, and for mitred square projects! 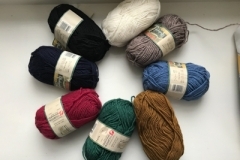 Full palette of colours I had available, arranged by value. 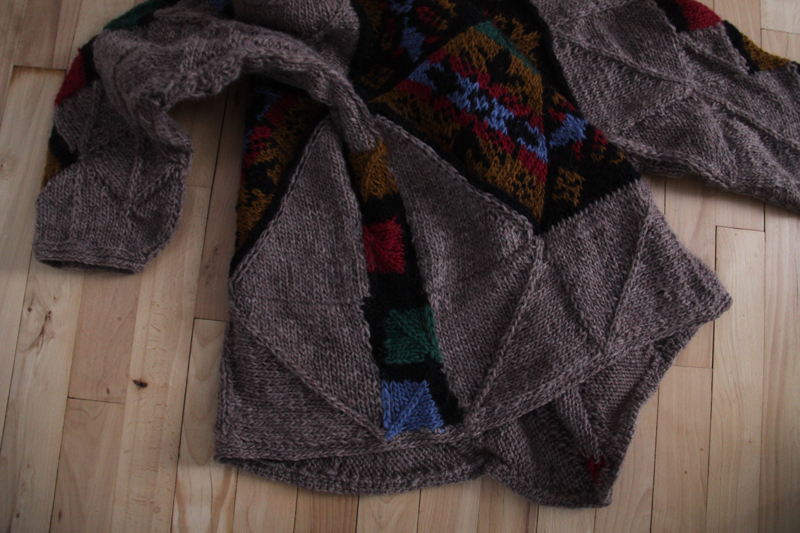 Figuring out the side panels -- needed more space between front and back, so I put in some coloured mitred squares. 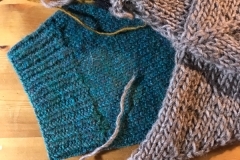 Closeup of coloured mitred squares -- actually, rectangles, because I needed less width than height. 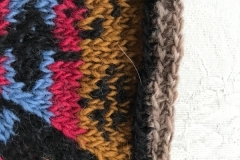 I started the sleeve decoration with four mitred squares of colour. And then I looked at it, and thought it was awfully similar to a corporate logo! 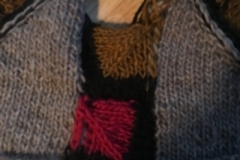 Not my intention. 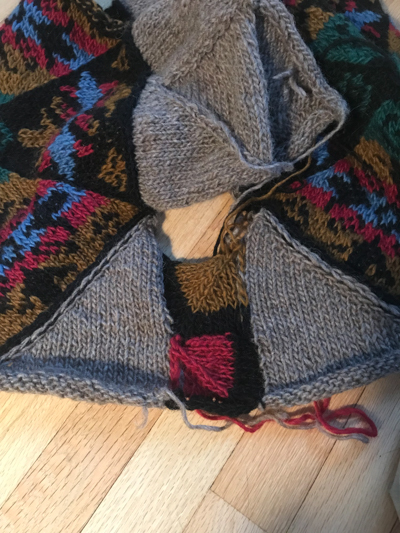 I pulled it out. 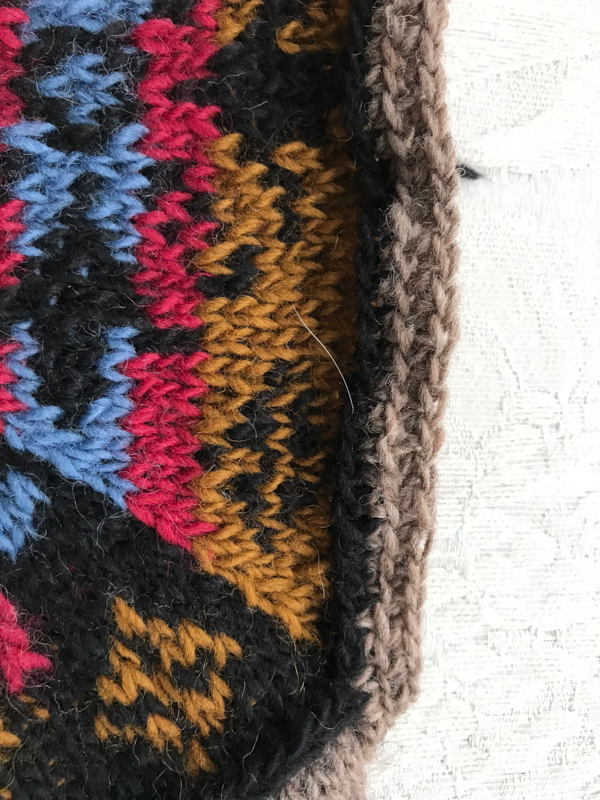 Detail -- picking up stitches down the sides of the last mitred squares in the sleeves, shortrowing to fill the valley, and slipping the centre stitch to mimic the centre stitch in the mitred squares.